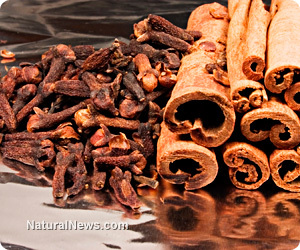 (NaturalNews) Herbal medicine has been around for centuries, and it just so happens to have a much more comprehensive track record of success than conventional medicine, which more often than not comes with nasty side effects. And while it may not serve the interests of the pharmaceutical cartel, modern science continues to uncover the vast health benefits associated with natural herbs and plants, many of which are freely available at grocery and health food stores, as well as farmers markets and local farm stands, depending on where you live. 2) Garlic. A powerful immune-booster, garlic contains more than 70 active healing phytonutrients, including allicin, earning it a top spot on the hierarchy as well. Similarly effective both internally and externally, garlic contains potent antibacterial, antiviral, and anti-fungal properties that make it a go-to remedy for preventing illness and infection. Garlic is also recognized for its ability to lower blood pressure and treat cancer. 9) Ginger. If you have ever been sea sick or suffered from nausea or stomach upset, ginger may have been recommended to you as a remedy. And science shows that it actually works by blocking the nausea-inducing effects of serotonin production, as well as preventing the production of damaging free radicals. Ginger can also help lower blood pressure, mitigate arthritis pain, promote prostate health, and even reduce the risk of cancer.